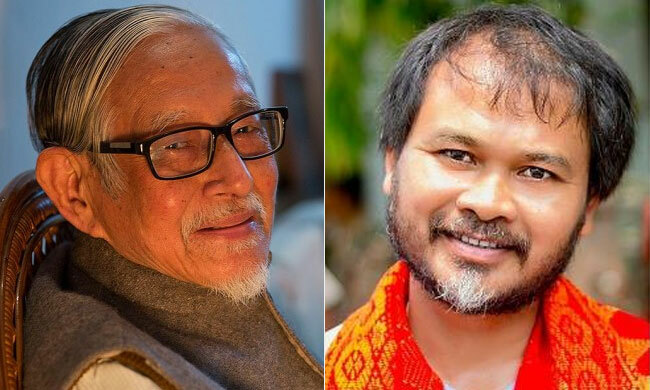 The Gauhati High Court has granted anticipatory bail to Assamese litterateur Hiren Gohain and KMSS leader Akhil Gogoi, against whom the police had registered a sedition case. On the basis of comments made by the Dr. Hiren Gohain, Senior journalist Manjit Mahanta and Akhil Gogoi during their speech in a meeting on January 7 to protest against the Citizenship Amendment Bill, the Police had filed a suo motu case under IPC sections, including 121 (waging or attempting to wage war, or abetting waging of war, against government), 123 (concealing with intent to facilitate design to wage war) and 124(A) (sedition). Earlier, the High Court had granted absolute bail to senior journalist Manjit Mahanta and had granted interim protection to others. The speeches made by them were produced in a pen drive and was played before Justice Hitesh Kumar Sarma on Wednesday. After listening to the speeches and also considering the other evidences, the court observed: "It does not appear to this Court that any such statement was made by them, in their speeches, in the meeting involved in this case, requiring their custodial interrogation." The court said that it is refraining from commenting on the materials available in the case diary to avoid any impact of the order in the process of investigation. Considering the age of Dr. Gohain, the Court imposed no condition while grantingCitizenship Bill protests anticipatory bail absolute, but directed him to co-operate with the investigation. As regards Gogoi, the court imposed usual conditions while granting him pre-arrest bail. The Citizenship (Amendment) Bill, was passed by the Lok Sabha on January 8. The Bill makes it easy for non-Muslim migrants from Pakistan, Bangladesh and Afghanistan who entered India before December 31, 2014, to acquire Indian citizenship, by relaxing several conditions under the Citizenship Act. The main criticism against the Bill is that it links citizenship with religion and discriminates migrants on basis of religious identity. The bill had evoked intense protests in the north-eastern states. According to the protesters, the Bill legitimizes several illegal immigrants, which will disrupt local demographics. Anyhow, as Rajya Sabha adjourned sine die on Wednesday, this bill has lapsed.